Looking for a great new statue or sculpture to add to your collection? A lot of really great statuettes and minibusts are coming soon, and you can pre-order yours now! 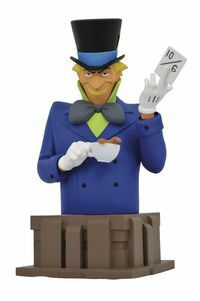 Choose from popular manufacturers like Sideshow Collectibles, DC Comics and Gentle Giant or browse upcoming statues here! Legal Notice: Entire contents trademarked (® or TM) and copyrighted (©) 1986-2019 by Things From Another World, Inc. and respective copyright and trademark holders. All rights reserved. Page rendered at 2019-04-19 17:46:29 in 0.506 seconds.